Leonardo da Vinci’s materpiece was painted between 1494 and 1498 under the rule of Ludovico il Moro. Rather than using the traditional Fresco techniques of the time, da Vinici used the “a Secco” method to complete his work. However, it has been discovered and documented that this technique along with enviromental factors has contributed to the eventual deterioration of the fresco, thus requiring numerous restorations. 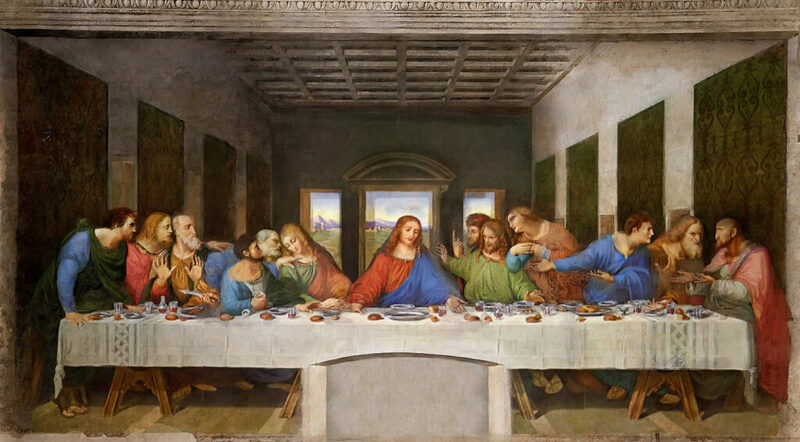 The most recent restoration was in 1999, where various scientific methods were used to restore the original colours and where possible to remove traces of paint applied from previous attempts to restore the fresco. Extensive measures have been implemented to protect the fresco from further exposure and to ensure that the fresco be kept at room temperature. Since the 1999 restoration the visitor intake has been restricted to a groups of 25 admitted every 15 minutes. Il Cenacolo Vinciano of Santa Maria delle Grazie is located in Piazza Santa Maria delle Grazie nr. 2, in Corso Magenta. • By Tube on the red line stopping at Conciliazione or on the green line stopping at Cadorna . • By Tram line 24 stopping at Corso Magenta-Santa Maria delle Grazie. All day from Tuesday to Sunday from 8.15 a.m to 7.00 p.m (last admission 6.45 p.m) with a maximum group of 25 admitted every 15 minutes. The museum is closed on Monday, 1st January, 1st May and 25th December. • Full Price: € 6,50 (+ € 1,50 booking fee). • Reduced: a reduction of 50% for all European citizens aged 18 to 25 and academics. • Free: for European citizens under 18 and over 65.